In a move environmentalists and journalists denounced as a blatant effort to bury facts that conflict with the president's denialism and pro-fossil fuel agenda, the Trump administration used the Friday after Thanksgiving to quietly release Volume II of the Fourth National Climate Assessment (NCA4). The report warned "Earth's climate is now changing faster than at any point in the history of modern civilization." The report concluded that "greenhouse gas emissions from human activities are the only factors that can account" for planet-threatening warming. "The decision to release this damning report when families are beginning to celebrate the holidays and newsrooms are short-staffed is a brazen attempt to bury the truth from the public that we must act now to move off fossil fuels and stabilize the climate," Wenonah Hauter, executive director of Food & Water Watch, said in a statement. "Releasing this report when no one is looking, tweeting his annual nonsense about global warming and cold weather, and announcing that he'll use the upcoming U.N. climate meetings as a fossil fuel tradeshow, Trump is doubling down on his climate denial for the holidays—as many families are still reeling from unnatural climate disasters across the country," Hauter continued. "The science is way past in on climate change... We must prepare for our climate future in spite of Trump." From deadly wildfires to catastrophic hurricanes and other extreme weather events, the "impacts of global climate change are already being felt in the United States and are projected to intensify in the future," notes the congressionally mandated report—the first of its kind released since President Donald Trump took office in 2017. 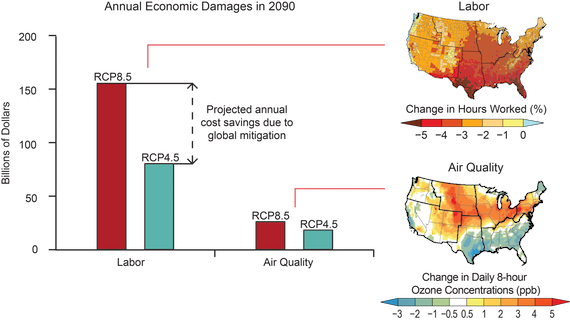 Authored by officials from over a dozen federal agencies, the report warns that in the absence of aggressive action to quickly slash carbon emissions, the climate crisis will continue to have increasingly devastating effects on the environment, wildlife, and human health. "It is very likely that some impacts, such as the effects of ice sheet disintegration on sea level rise and coastal development, will be irreversible for many thousands of years, and others, such as species extinction, will be permanent," the report warns. Using the hashtag #ClimateFriday, environmentalists worked to overcome the Trump administration's attempt to hide the NCA4 amid the chaos of the holidays by highlighting the report's findings and stressing its dire implications if ambitious and global climate action is not taken. 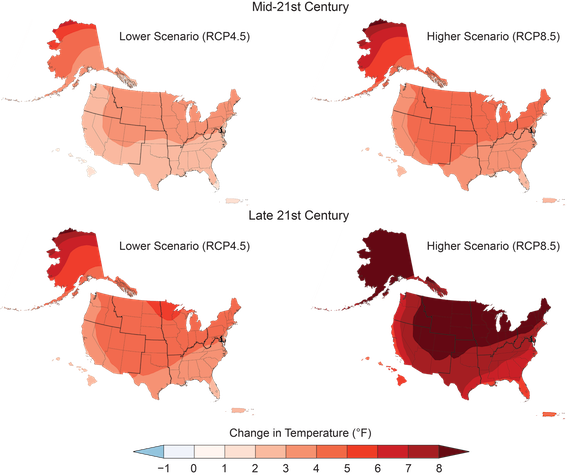 "This report makes it clear that climate change is not some problem in the distant future," Brenda Ekwurzel, the director of climate science at the Union of Concerned Scientists (UCS), said in a statement. "It's happening right now in every part of the country." Already, western mountain ranges are retaining much less snow throughout the year, threatening water supplies below them. 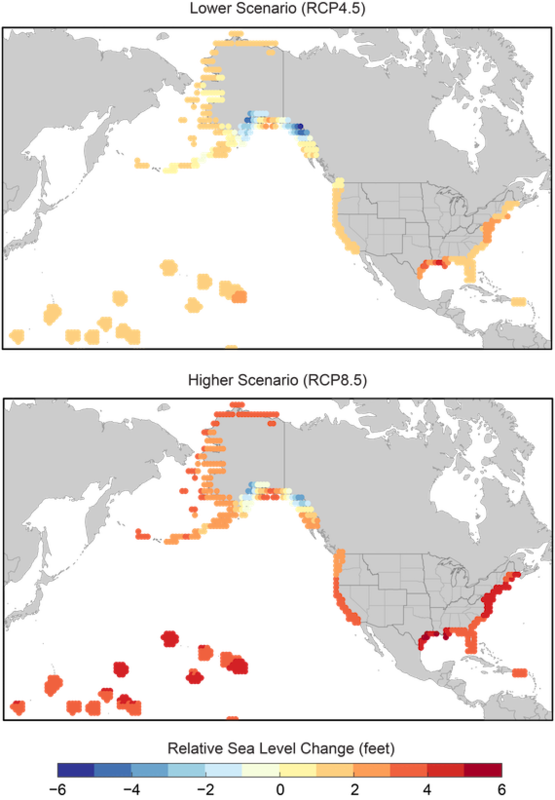 Coral reefs in the Caribbean, Hawaii, Florida, and the U.S.'s Pacific territories are experiencing severe bleaching events. Wildfires are devouring ever larger areas during longer fire seasons. And the country's sole Arctic state, Alaska, is seeing a staggering rate of warming that has utterly upended its ecosystems, from once ice-clogged coastlines to increasingly thawing permafrost tundras. The federal report comes as climate activists and progressives like Rep.-elect Alexandria Ocasio-Cortez (D-N.Y.) are pushing for the Democratic Party to combat the Trump administration's fossil fuel agenda with ambitious climate action centered around a Green New Deal. "It's not enough to think it's 'important.' We must make it urgent," Ocasio-Cortez wroteon Twitter. "That's why we need a Select Committee on a Green New Deal, and why fossil fuel-funded officials shouldn’t be writing climate change policy." "Climate change is spawning more extreme weather, causing irreparable harm to communities, costing billions of dollars a year, and leading to countless deaths. We can stop climate destruction, but only if we act quickly to end the use of fossil fuels and transition to 100 percent clean renewable energy," concluded Hauter of Food & Water Watch. "This transition is not only possible, but necessary for the health and prosperity of people and the planet."